Steve Schmidt was born in San Francisco and grew up in Marin County and in Pasadena. He attended the University of California at Davis, graduating Phi Beta Kappa in Philosophy in 1976. He settled to the Santa Clarita Valley right out of college in 1976, joining The Newhall Land & Farming Co. as a Senior Vice President for community development. In this position he worked on land use and entitlements, long-range planning, architecture and community relations. During the next 25 years, Steve became active in numerous Santa Clarita Valley community groups and social welfare organizations. He joined the board of the SCV Boys & Girls Club where he served as vice president of the board. He became a director of the American Red Cross. He was a founding board member of the Association to Aid Victims of Domestic Violence. In 1982, he was named Board Member of the Year by the SCV Boys and Girls Club. He also joined the boards of the Samuel Dixon Family Health Center, the Foundation for Children’s Dental Health, the Henry Mayo Newhall Memorial Health Foundation, the Newhall Rotary Club, the Santa Clarita Community Development Corporation (a shelter for the homeless), the SCV Chamber of Commerce and the SCV Anti-Gang Task Force. 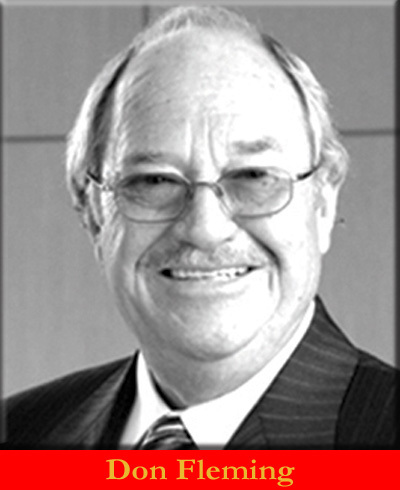 In 1988, he served as chairman of the Santa Clarita Campaign for the United Way. During that year he attended the Stanford Graduate School of Business as a Sloan Fellow, receiving an M.S. in Management. Steve also was active in social work outside the Santa Clarita Valley. He was a director of Hope in Hollywood, joined the St. Andrew & St. Charles Episcopal Church where he was a member of the Vestry, served as chair of the Property Committee and chair of the Temple Relations Committee. He was also named a director of the Zen Center of Los Angeles and of the Zen Mountain Center. Steve left Newhall Land in 1992 to devote time to his personal investments. He became a director of the SCV Chapter of the American Diabetes Association. He joined the Child & Family Center Capital Campaign, where he worked on the Pacesetter Gifts Committee, and was a volunteer on the Community Hotline’s “Rent-a-Santa” program. In 1994 he was named Volunteer of the Year by the County of Los Angeles Department of Health Services. In 1995-96, Steve chaired the United Way of Greater Los Angeles Leadership Giving Campaign; he also served as director of the Hart School District Scholarship Foundation, and became a director of the Valencia Bank and chair of its Advisory Board. He joined the board of the SCV Senior Center and the Small Business Development Center. He rejoined Newhall Land in 1999 as Senior Vice President for Residential Community Development, working for two years on the development of master-planned communities in Valencia, Palmdale, and Broomfield, Colo. During that time he worked closely with the Antelope Valley Rehabilitation Center where he chaired both the Literacy Advisory Board and the Stepping-Ahead Program. He also served as a State Representative to the Epiphany Prison Ministry of California. In 2001 Steve Schmidt was named the Santa Clarita Valley’s Man of the Year. He retired from Newhall Land that same year and returned to his personal investment business. In 2005, after serving 20 years on the board, he left the Samuel Dixon Family Health Center, but continued on with the Foundation for Children’s Dental Health until it folded in 2014 because it had accomplished its mission of providing emergency dental health care to needy SCV children. Steve is a longtime horse racing aficionado. He currently serves on the Fans’ Committee for both the Santa Anita Race Track and Hollywood Park Race Track.